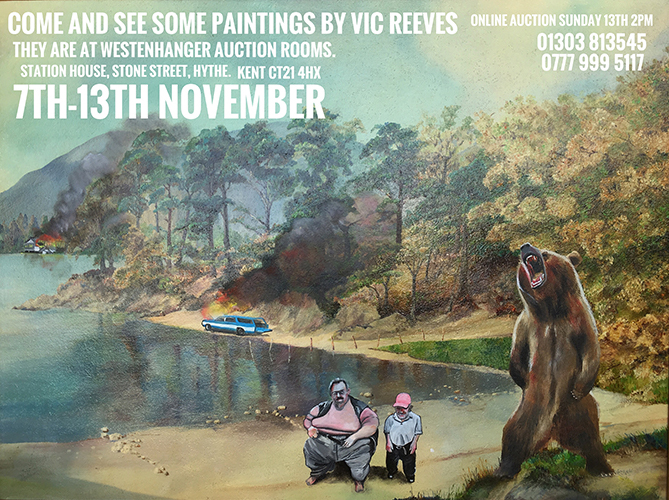 Michael Hogben and Westenhanger Auctioneers are delighted to announce an exhibition of Vic Reeves’ artwork including a selection of new creations in both paint and pottery mediums with over 55 new works of art. The Auction House, based at Westenhanger Station, next to Folkestone Racecourse near Hythe in Kent will be open for viewing and reserved purchases from 7th November 2016 to 13th November 2016 inclusive. All items not sold will be offered in our subsequent sale by Auction on Sunday November 13th 2016. Live bidding is available on this auction, click here.